Discover and engage with your customers and the key influencers in your niche that will give you larger brand exposure & great insights about your target market. Get to know your customers' core interests and create products that will meet their exact needs and desires. 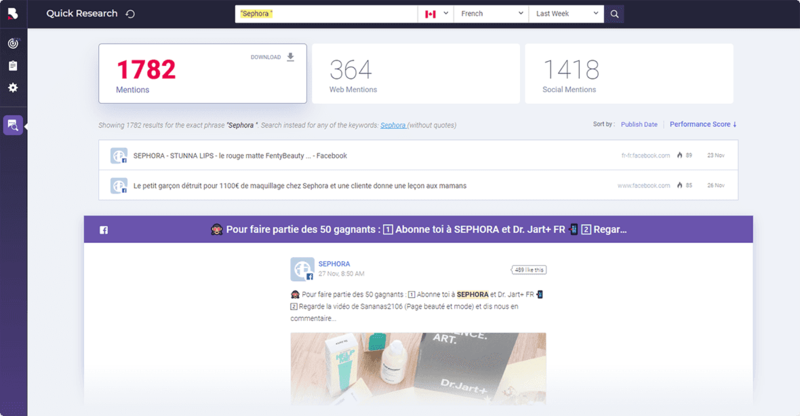 BrandMentions tells you where to promote your products and find new customers. 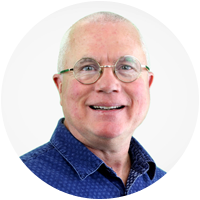 By always being aware of who talks about you and what, you get the power to understand and protect your reputation in a fiercely competitive market. Monitor everything that is being said about your company or product on all the channels that matter, be it web or social media. 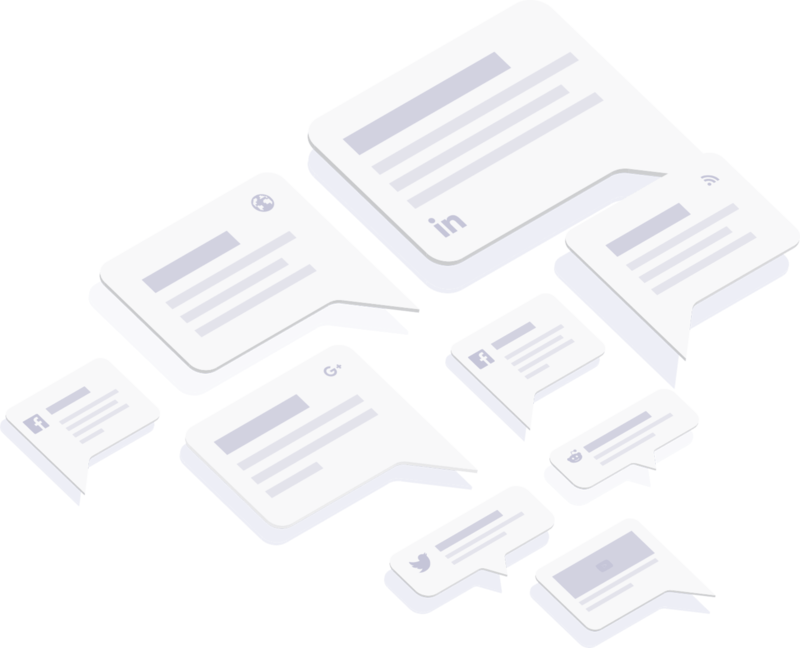 BrandMentions keeps you up to date with everything important in your market and anything connected to your company, providing real-time alerts straight to your inbox. We monitor all the important channels where people talk about your brand. Immediately find out the tone of the conversations you are mentioned in. Analyzing your competitors’ strategies isn't just an option. It is a necessary part of your growth strategy. The more you can find out about your business and your competitors, the more you can learn, adapt and ultimately flourish. 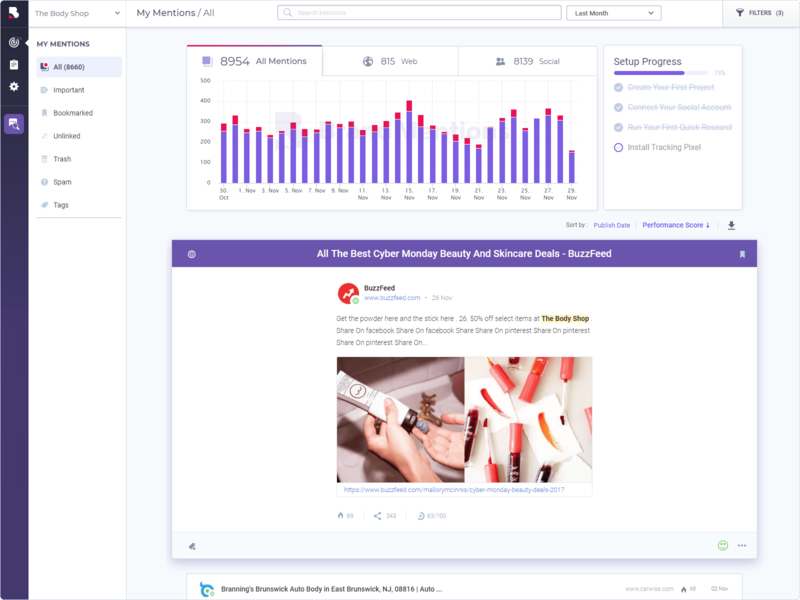 You can now spy on competitors from different angles and have a clearer view where the competition actually stands. Analyze the top players in your niche and beat them at their own game. Instantly get insights about any brand or topic from any market. Find out who mentioned you and where the moment they did. 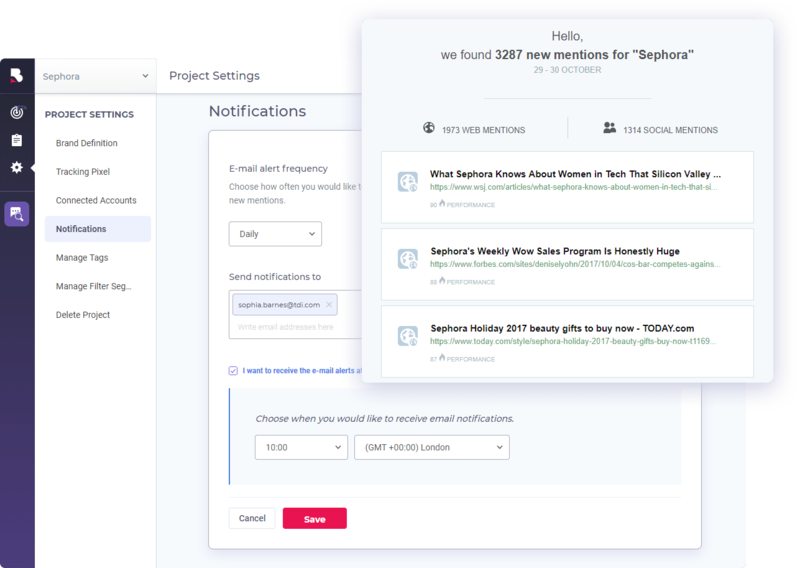 BrandMentions gives you real-time notifications every time you get new mentions or links. You now have instant access to all the critical data related to your brand across the web and social networks. Get all the mentions that matter. Discover all the fresh links as soon as they drive you traffic. In only a few seconds, Brandmentions allows me to find recent client mentions on the web, saving me a lot of time. With one click I can export the results, and check if a link exists back to my client and approach any unlinked client mentions. BrandMentions delivers much better results and extensive coverage than other services I've used. It monitors global coverage which saves time and delivers a quick snapshot of all coverage. Highly recommended. BrandMentions is the first thing I do every morning after coffee as is the easiest way to find out where you're mentioned on the web. Using BrandMentions, I can quickly discover when Shapr is being talked about or when a professional has written a blog about our app! I find BrandMentions to be faster than Google at discovering new brand mentions. This is extremely valuable as we report the success of our activity sooner than ever before. It found links that other tools, including even Google, didn’t discover until weeks later. BrandMentions naturally fits into our stack of essential tools and into our workflow because it's so easy to use! Depending on the level of sophistication of your marketing flow, you can use for your own brand or to keep an eye on the competition.